Houses built on town blocks divided into multiple parcels will likely be given or sold to nonpolygamous owners. Trent Nelson | The Salt Lake Tribune FLDS member Shannon Darger, second from left, looks on as UEP Trust agent Ted Barlow and locksmith Kelvin Holdaway begin to change the locks on her Colorado City, AZ, home, Wednesday May 10, 2017. Like other FLDS members, Darger considers working with the UEP Trust to be against her religious beliefs and has chosen to move her family out of state rather than sign an occupancy agreement with the trust. A federal judge Wednesday ordered Colorado City, Ariz., to finish subdividing properties — a move that could lead to more polygamous sect members leaving the town. U.S. District Judge H. Russel Holland gave the municipal government until July 28 to record what is called a subdivision plat. Effectively, Colorado City must divide town blocks into multiple parcels. That will typically mean one home per parcel. Once the parcels are recorded with Mohave County, the trust that owns most of Colorado City's homes, called the United Effort Plan (UEP), can begin giving away or selling homes. Those homes seem likely to go to people who do not belong to the polygamous Fundamentalist Church of Jesus Christ of Latter-Day Saints. Colorado City and adjoining Hildale, Utah, jointly referred to as Short Creek, are home to the FLDS. Its members have largely refused to cooperate with the UEP. The municipal governments have long resisted splitting properties. Jeff Matura, Colorado City's attorney, said Wednesday his clients don't plan an appeal. "I don't anticipate any more issues arising to getting those plats recorded." Bill Walker, an attorney who has represented people who have alleged discrimination by the towns and the church, called Wednesday's order "a sea change." Walker said FLDS members used control of homes as a way to discriminate against people out of favor with church leaders. "And now, all of the sudden, there are going to be bona fide property owners in the cities, and there will be a world of changes," Walker said. "It will mean the city will be opened up and there won't be complete control of everything by the FLDS." Jeff Barlow, UEP's executive director, said there are already 150 people in Colorado City living in homes they built. Those people have been waiting to receive deeds, but can't do so until properties are subdivided. "The subdivision was an important step to ending the discrimination," Barlow said, "and empowering each individual homeowner to control their own destiny." FLDS members practice communal living. Members of what would become the FLDS church donated property to create the UEP in the 1940s. Entire town blocks remained as one parcel at the counties recorders' offices, even though there may be 12 or more homes sitting on those blocks. Utah seized the UEP in 2005 out of concerns that FLDS President Warren Jeffs was mismanaging it. A state judge in Salt Lake City still oversees the trust but has appointed a board of trustees to manage it. One of the first orders of business after the state takeover was to divide the parcels so one home at a time could be moved into private hands like a conventional American community. The municipal governments, which have traditionally been operated by FLDS members, refused to approve plans to subdivide properties. It took a Utah Supreme Court ruling to subdivide Hildale in 2014. Colorado City and the UEP have been in litigation in state and federal court for years over the issue. Holland's order Wednesday appears to have put an end to the bickering. Besides ordering the subdivision, he sided with the UEP on a number of sticking points. He said the UEP does not need to chip and seal unpaved roads nor does it need to improve stormwater drainage. Colorado City had demanded those and other improvements for years, alleging the UEP was a real estate developer and other Arizona communities had the same requirements. The UEP argued that Colorado City had existed for a century with dirt streets and no sidewalks, curbs or gutters, and requiring all those now would cost it millions of dollars. Barlow contended again Wednesday that Colorado City's municipal leaders just didn't want to cooperate with people they considered apostates. "Certainly, it is my belief that if there wasn't ulterior motives and there wasn't discrimination, then we would have been able to get a subdivision years ago," Barlow said. Since Hildale was subdivided in 2014, the UEP has moved many of the homes there to private owners. Barlow on Wednesday said 80 percent of Hildale homes have been or are in the process of being sold or transferred. 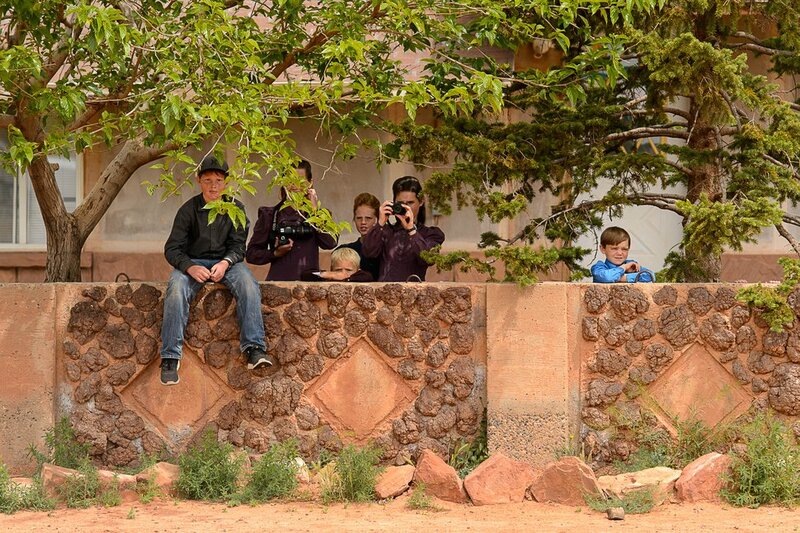 Some Hildale residents estimate more non-FLDS than FLDS members live there now. Things have been slower to change in Colorado City because of the subdividing issue, but this year the UEP accelerated evictions of people who refused to sign occupancy agreements and who weren't paying property taxes. Perhaps hundreds of FLDS members in Colorado City have had to find other housing there or elsewhere. Holland's order was one of the last items of business in a 2012 discrimination lawsuit the U.S. Department of Justice filed against Hildale and Colorado City. Holland had already ordered a number of reforms in the towns, including new hiring practices and training for police officers. Tom Wheeler, acting assistant attorney general of the Civil Rights Division at the Justice Department, issued a statement Wednesday saying he was pleased with Holland's decision. "The Civil Rights Division has fought hard to protect residents of Colorado City from discrimination," the statement said. "The court's ruling addresses a root cause of housing discrimination and related police misconduct that has existed for over a decade." 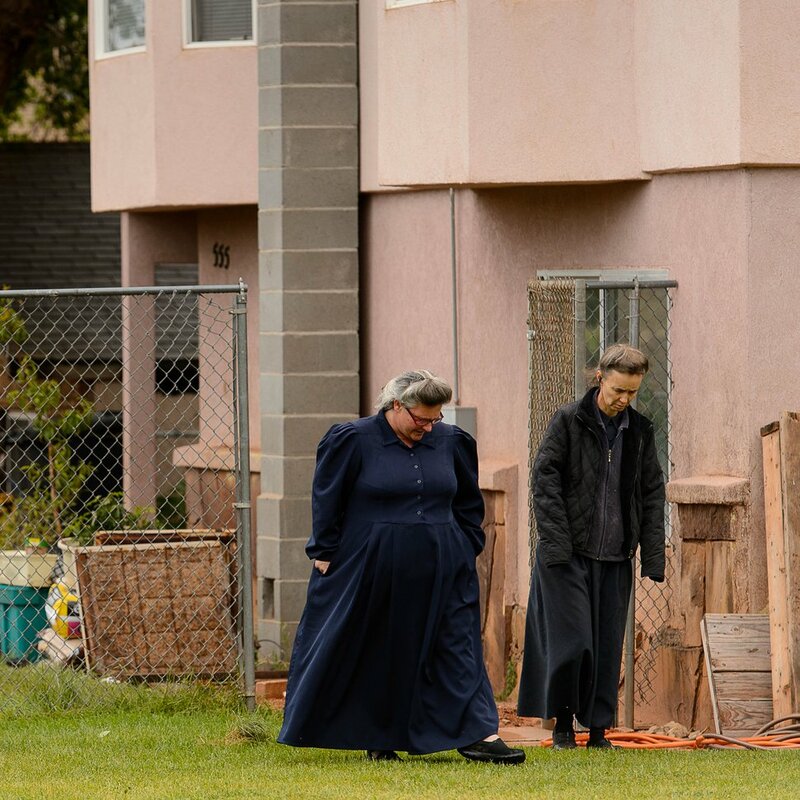 Trent Nelson | The Salt Lake Tribune FLDS members Shannon Darger and Liz (last name unknown) walk away from their Colorado City, AZ, home after being evicted by the UEP Trust Wednesday May 10, 2017. 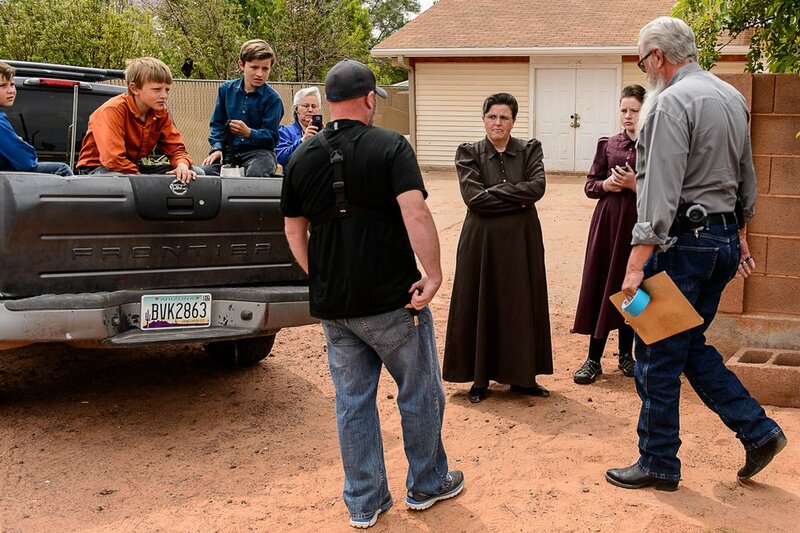 Like other FLDS members, the two women consider working with the UEP Trust to be against their religious beliefs and would not sign an occupancy agreement with the trust. 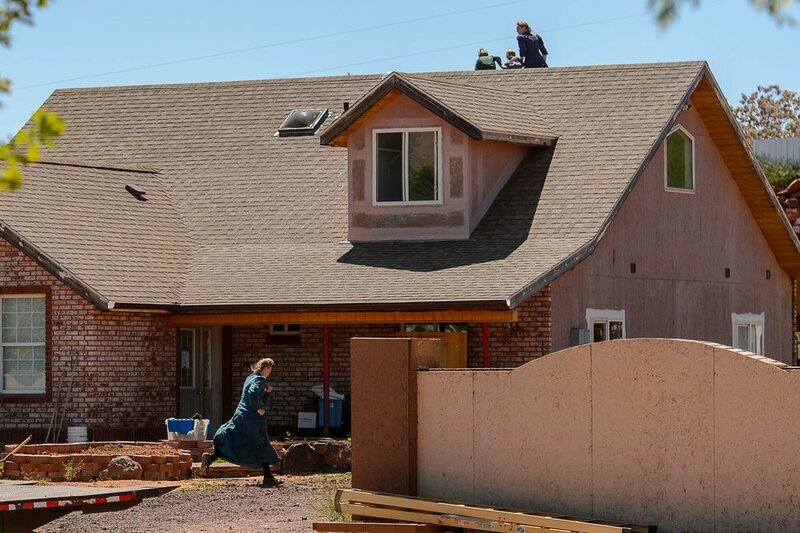 Trent Nelson | The Salt Lake Tribune An FLDS woman runs away and another scurries her children off the roof as Mohave County Constable Mike Hoggard arrives to post a second eviction notice on a Colorado City, AZ, home, Monday May 1, 2017. Trent Nelson | The Salt Lake Tribune An FLDS woman confronts UEP agent Ted Barlow and Mohave County Constable Mike Hoggard as they evict her from her home in Colorado City, AZ, Tuesday May 9, 2017. 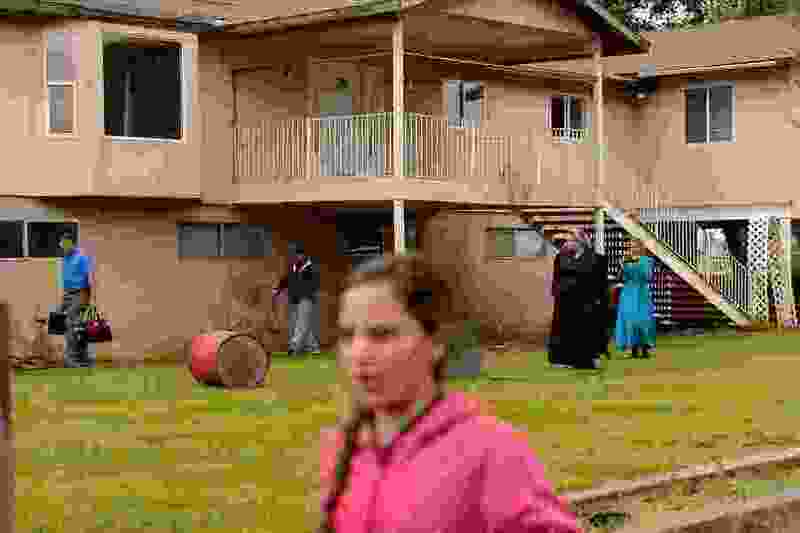 Trent Nelson | The Salt Lake Tribune A group of FLDS children, themselves facing eviction, watch and take photos of a woman being evicted from her home in Colorado City, AZ, Tuesday May 9, 2017.